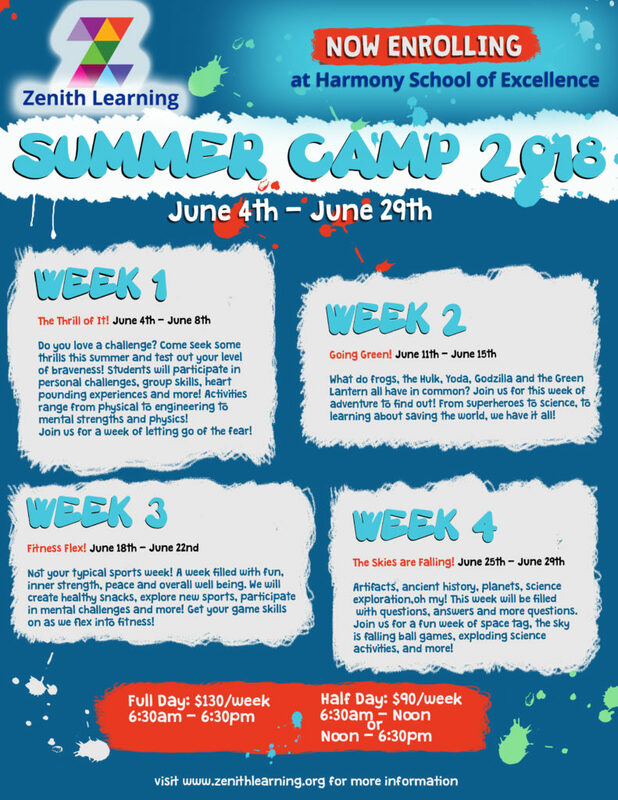 Zenith Learning offers Summer Camp 2018! Zenith Learning offers Summer Camp 2018 right here at our campus! Registration is now open! We have four amazing weeks planned that your child will love! Let’s make Summer 2018 memorable! Registration & Supply fee due at the time of registration. Tuition may be paid at a later date, per tuition deadlines. Space may be limited, so register to hold your child’s spot today! https://hsaaustin.xyz/wp-content/uploads/2018/10/logowhite-300x138.png 0 0 rismayilov https://hsaaustin.xyz/wp-content/uploads/2018/10/logowhite-300x138.png rismayilov2018-03-27 13:28:142018-03-27 13:28:14Zenith Learning offers Summer Camp 2018!